Kate Liquorish reviews the awesome festival and is giving away a set of double tickets to this year's fun! 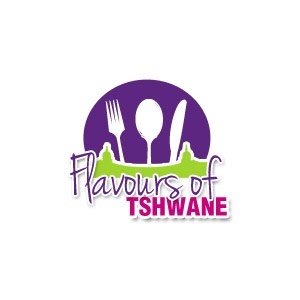 I was privileged enough to attend the Flavours of Tshwane (Gastronomic festival) last year and I was absolutely blown away. It’s not an ordinary food festival – which is why I included the word ‘Gastronomic’ in the description – it’s an amazing showcase of the best restaurants in Pretoria, each offering 2 specially designed tasters for your pleasure - and all of this takes place at one beautiful venue. Especially for those foodies who may not necessarily be able to afford a restaurant experience at such establishments like Priva, Black Bamboo, Kream, Brasserie de Paris and Ritrovo, this festival affords people the opportunity to experience and design their own tasting menu according to what the top chefs have created on the day. Tickets to the festival cost R150, but R100 of that is given back in the form of credit to spend as you please. Tasters all cost between R30 and R50 and the line-up looks absolutely magnificent: Quail and Poached Pear with Ginger-Soy Glaze (Kream), Slow Braised Oxtail in Red Wine Ragu (Ritrovo), Oriental-style, Slow Roasted Pork Belly (Priva) and Vanilla and Saffron Butter Chicken (Pride of India) to name but a few. You’re also given a wine glass to enjoy tasters from such iconic wine estates as Saronsberg, Ernie Els, Haute Cabriere, Rupert and Rothschild, Jordan and many more. You’ll be able to converse with many of the winemakers themselves and buy bottles at cellar prices. Forti was kind enough to offer us a pair of tickets to give away: to win them all you need to do is tweet @undomestikated #FlavoursOfTshwane and tell us which restaurant or wine farm you’re most excited about experiencing before 12pm on the 26th May, winner will be announced on 27th May.